Dr. M. Elmaraghy, M.D., F.R.C.S. (C) attended medical school at the University of Toronto. Dr Elmaraghy graduated the University of Toronto in 1993, and was the recipient of a number of awards including an award for excellence in the field of surgery and was selected to be a member of the prestigious Alpha Omega Alpha Honor Medical Society. Dr. Elmaraghy completed a five-year residency in Plastic and Reconstructive Surgery at the University of Western Ontario in 1998. He is currently a certified Fellow of the Royal College of Physicians and Surgeons of Canada, with a specialist certificate in Plastic Surgery. Dr. Elmaraghy developed additional expertise in 1998-9 by completing fellowship training at Georgetown University, Washington D.C. in the fields of aesthetic, reconstructive, and breast surgery. 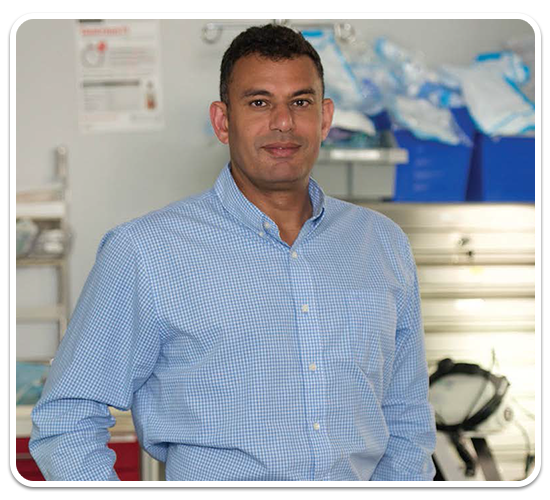 Dr. Elmaraghy began his private practice in the Kitchener-Waterloo area in 1999. He has published several academic articles in the field of plastic surgery, concerning aesthetic and reconstructive surgery of the breast. Dr. Elmaraghy is an attending plastic surgeon at Grand River Hospital and St. Mary’s Hospital in Kitchener-Waterloo, Ontario.